This statement is so correct in regards to being well-dressed and stylish. You don’t have to spend a fortune to dress to impress. With online shopping, we have access to so many great fashion items at great prices! Even a great headpiece can be found online. Top milliners around the world can charge into the thousands for an impeccably crafted headpiece. But you’ll find fabulous Australian milliners who produce the same work for my less. It’s still not going to be cheap, but look at it as an investment into you looking the best you can. Create your own Millinery Style! During the big race days, there are thousands of people out there wearing headpieces. Out of those thousand, only a few millinery pieces will stand out – usually the uniquely created pieces as opposed to those mass-produced ones. Don’t spend a fortune but don’t go to cheap either. Shop smart and do some fashion home-work. If you understand style, you will always be able to pull something wonderful together on a smaller budget. The races is definitely a place where people will stare, whether you’re at Royal Ascot, the Kentucky Derby or the Melbourne Cup Carnival. Melbournians pride ourselves on being admired for our wonderful sense of style. We like turning heads, whether we’ve chosen to wear something weird and whacky or something drool-worthy. While Royal Ascot goers gain attention Wirth bigger-is-better headwear, Melbourne race-goers tend to go for modest style. 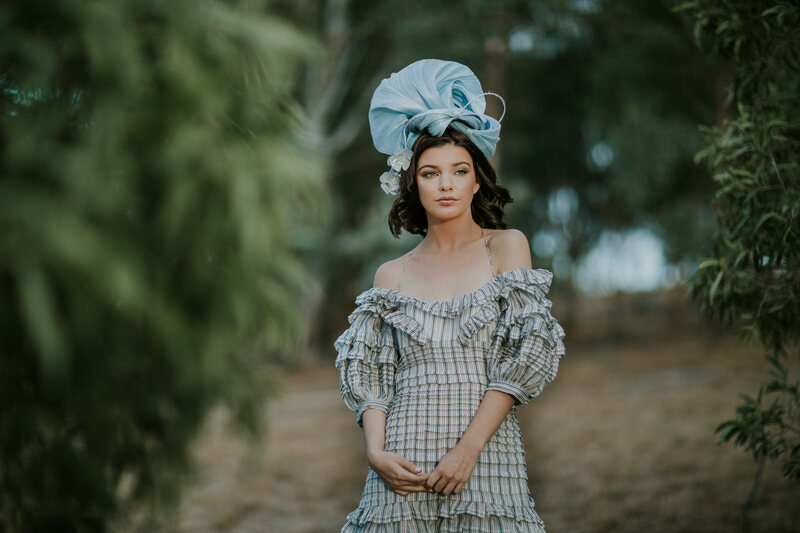 Wearing unique millinery with our racing fashion is a great way to get admiring stares. 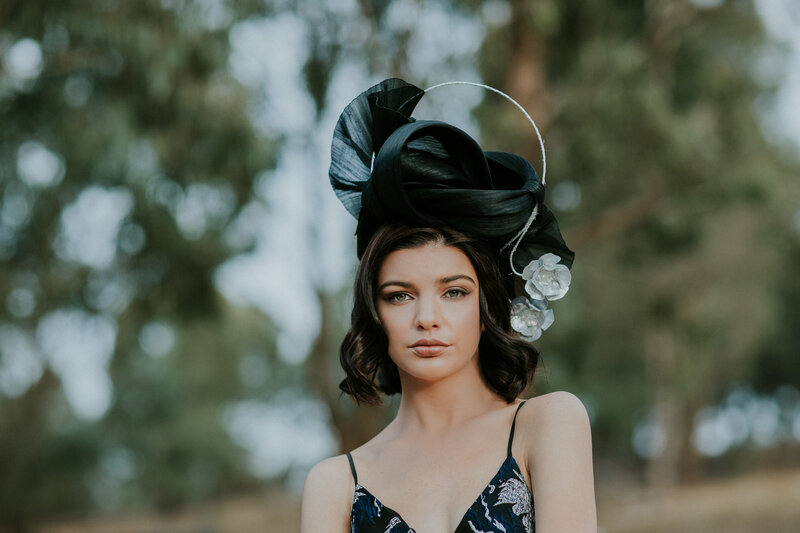 Melbourne milliners are ahead of the game when it comes to on-trend styles so it would be worth your while to find one who caters for your millinery needs. With each season, fashion is dictated to us by the designers and it is re-enforced by the hoards or instagram fashionistas who rush out to own a piece of it. Some of it is beautiful, while some leaves us wondering what on earth is going on with fashion! Too many of us fall into the fashion trap and make those purchases of things which don’t suit us or end up sitting in our wardrobes waiting to see the light of day. Regardless of what the current trends are, we will always shine brighter when we wear what we feel good in. This goes for the races as well. The Melbourne Cup Carnival and other large race meets can get intimidating when you’re putting together your outfits. If you’re stuck on what to wear, wear what makes you feel good, including your choice of millinery! There’s only been one fashions on the field winner (which comes to mind) which wore something from the current season. As for the rest, there’s been many self-designed and self-made outfits which they have radiated in.